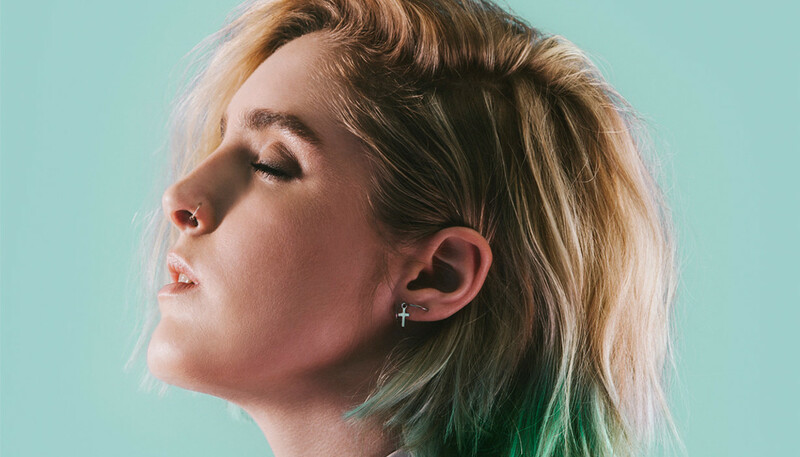 When 16-year-old Shura quit a career in professional football to pursue music, she never imagined that nine years later she’d be opening for her heroes Tegan and Sara. 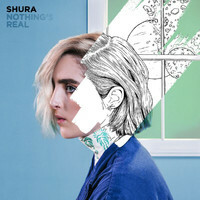 Here, the Manchester-raised synth-pop producer discusses her incredible journey so far, and shares the story behind her debut album, Nothing’s Real. It feels like we’ve been waiting a long time for your debut, but we can’t work out whether that’s because we’ve been aware of your work ever since your debut single. You really only had one song at that point? Yeah, because I didn’t want to record old songs; I wanted it everything to be new. I could have recorded 15 songs that I’d written from the age of 16 but I didn’t want the album to be about that. I used to joke that my music was travelling further than I could afford to. When you first put ‘Touch’ online, what were your expectations? I thought my friends would like it and I thought maybe a few blogs would like it. I wasn’t expecting the attention that I had from all walks of life – whether that was record labels in America, or publishers, or fans in the Philippines. I used to joke that my music was travelling further than I could afford to, which is really strange. People were listening to ‘Touch’ in Australia, and I couldn’t even afford a holiday to Spain. How mental is that? Do you think having that attention early on added any pressure? I knew that there was more pressure but I didn’t really feel it, emotionally certainly. But I think I’m a bit like that: I feel things quite physically rather than in my brain. I started to have panic attacks after that happened, but I never felt inside my head like, “Oh I’m worried, I’m stressed out.” But it just manifests itself differently for me, I guess. For the benefit of people who haven’t heard Nothing’s Real yet, what can they expect? I’d describe it as a time capsule. It’s me and my life and my family, and everything I’ve been through in the last few years. It’s really hard to describe because it’s so much about the past, but it’s about nostalgia for being three years old and nostalgia for a relationship that never worked out. There are samples of a small child on the album, is that you? Yeah, yeah! They’re from family videos. It’s me and my twin brother, and I used to say that I didn’t like him very much because he makes me cross. I mean, obviously I love him but, yeah, I was just trying to be a smartarse, really. Your bittersweet brand of electro-pop really reminds us of artists like Robyn and Tegan and Sara, and we understand you recently interviewed the latter, right? I did! Man, that was an interesting experience. Holy sh*t. Not that I didn’t respect journalists before but I definitely have a newfound respect for them, because it’s difficult to interview someone. Were Tegan and Sara as nice as you’d hoped? Oh my god, they were great. I just wasn’t nearly enough prepared. Like, at all. And I’m not used to not speaking, also. I became very conscious that I had to listen, and I’m used to just talking. So, were there any reference points Nothing’s Real? I think because so much of the album is about nostalgia and looking back at stuff, sonically I wanted to borrow from the records that I was listening to at that time, whether that was Fleetwood Mac or Madonna in the True Blue/Immaculate Collection-era. And Whitney Houston, who I think is brilliant at treading that line between euphoria and trauma. Happy/sad is what I call it, and she’s the queen of happy/sad. So, sonically, I knew what I wanted to go for but at the same time I wanted to include stuff that was slightly more guitar-leaning – whether that was influenced by Springsteen and Don Henley or The War On Drugs – and really mesh those two thing together. How does the creative process work for you? Are you writing all the time? Not all the time. When I’m touring I find it really difficult to write because I produce it at the same time, so I like to be around my studio and near all my equipment. That’s something I need to figure out: a way of writing when it’s just me and a laptop and a guitar or whatever. I wrote this record mainly with a guy called Joel Pott, who I produced the record with. My label suggested a couple of people to write with, one of which worked out, and I wrote ‘What’s It Gonna Be?’ with. It was really exciting. But it’s just a really small team of people. I didn’t want to do that thing of writing with lots of people because you run the risk of an album not sounding cohesive; producing 17 really cool songs but every one sounds like it’s from a different album. I needed it to feel like a body of work. It does feel like a journey. Yeah. I know that most people don’t listen to records like that anymore, but for me it was really important that it worked as an album, and as a story, from start to finish. Is there a song on the album that you’re most excited for people to hear? I’m really excited for people to hear ‘Kidz 'N' Stuff’. ‘What Happened To Us?’ is another one that I really love; they’re probably my two favourites from the few that people haven’t heard. And ‘Nothing’s Real’... I think I forget about that one because it’s the title track. I recorded a string quartet for that and I felt like I was making a Bond theme when I was doing it. (Laughs) It was like if I was ever going to do a Bond theme, this is the way it would sound. But disco. What’s been the biggest pinch-yourself moment of the past two years? Where would you like to be in 12 months time with your music? I’d like to have definitely written half of my second album. (Laughs) It doesn’t have to be recorded, but just so that I’m not taking forever. I mean, I’m sure that it will take me at least two years for the next [album], but I’d like to have a head start on it, so I can have more time to record it. But yeah, I just hope that some people like this record. I played Glastonbury this year, I feel like I can retire already (laughs) do you know what I mean? I feel like I’ve achieved everything already that I could ever have dreamed of. I have a CD of my album in my bedroom; I can’t believe it.